Our clients pay advisers to manage their investments, but where do advisers start with such a broad range of investments available? As you would expect, almost all advisers start from a similar, client-focused point. Portfolio selection is implemented after the adviser determines a client’s circumstances, risk tolerance, risk capacity and prioritises the client’s key financial goals. In other words, how will the client feel and react in the event that his or her investment portfolio drops in value and how will it affect their goals? Getting to know our clients is important to us. This allows us to know and understand our clients’ needs. It allows us to analyse assets and liabilities, establish target income and capital, and look at client-specific requirements, like ethics. This informs our scenario planning, in combination with the client’s short, medium and long term financial goals. For example, Ryan’s requirements nearing retirement, may focus on capital preservation. Michelle’s requirements at age 30, where retirement is some way off, may be around funding her children’s college expenses, buying a home and then retirement. Risk capacity refers to the client’s ability to weather financial storms. This is measured by how much time they have until retirement, how much wealth they have, and their income. Risk tolerance is about the client’s ability to cope with large swings in the value of their investment. These types of factors influence how much risk a client is able to handle. A client may have sufficient resources to handle a market crash (high risk capacity) yet psychologically be very distressed watching the value of his or her assets fall (low risk tolerance). Once the adviser creates a client ‘risk profile’ and ascertains the client’s goals, then the asset selection process begins. Most firms, including Wren Sterling, have a variety of predetermined ‘client portfolios’ that have already had the necessary due diligence applied to them. This ensures amongst other things that they’re of sufficient financial strength, priced fairly for clients and unlikely to be subject to severe volatility. These client portfolios are based upon the firm’s investment policy and strategy and can be integrated with the particular needs of individual clients. Perhaps the biggest advantage of ongoing financial advice is the ability for the adviser to ensure the client’s investments correlate with their risk appetite, capacity for risk and financial goals. 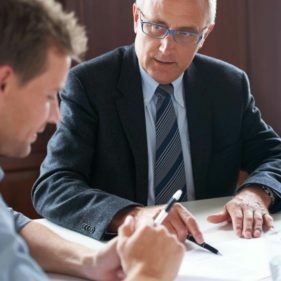 If something happens to the client to change their original position, for example receiving an inheritance or being off work due to injury or ill health, an adviser will review the client’s portfolio and if necessary make adjustments. Fund managers that we work with also make adjustments to the portfolios to make sure they remain ‘balanced’. For example, if performance falls in a particular area of the fund, they may reduce the percentage of that particular fund or asset class within the portfolio. Wren Sterling works with a carefully selected group of investment partners. Our investment committee provides additional oversight over the process to ensure the investments we select are appropriate for every individual client. Please remember that the value of investments, and any income received from them can fall as well as rise, is not guaranteed and you may not get back the amount you invested. We always recommend that any investments held should be viewed as a medium to long-term investment, at least five years.